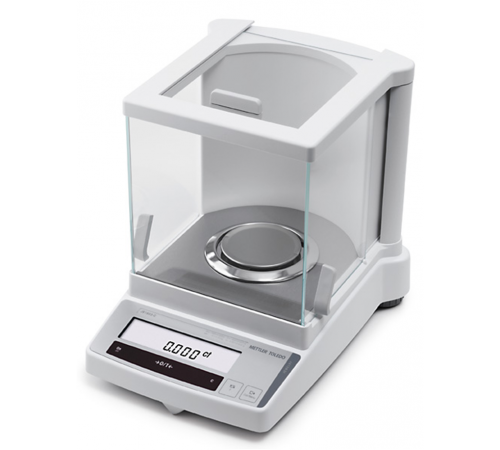 JB-1603 LC METTLER SCALEAccurate and reliable: METTLER TOLEDO guarantees accurate results for every weighing job.Robust quality: The full metal housing protects the weighing cell and electronics in your balance. The draft shield can be opened wide for easy access and fulfills highest ergonomic standards.Built-in applications: All carat balances have several applications already included in the software: Basic weighing, piece counting and percent weighing. Legal For Trade: All balances are "Legal For Trade", also known as approved, which is required in applications where the product is sold by weight. All "Legal For Trade" balances have undergone independent testing to verify the scale meets the manufacturer's specifications. Technical data JB1603-L-C Readability 0.001 ct / 0.0001 g Maximum Load 1600 ct / 320 g Taring Range 0 … 1600 ct Repeatability (sd) 0.001 ct / 0.001 g Linearity 0.002 ct / 0.001 g Sensitivity drift (10 °C … 30 °C) 2.5 ppm/ °C Typical stabilization time 4 s Adjustment weight 200 g, external (included) Backlight yes External dimensions of balance (W/D/H) 245/321/280 mm External dimensions of packaging (W/D/H) 381/436/495 mm (0.082 m3) Weighing pan ø 80 mm Max. height above weighing pan 165 mm Net weight (with packaging) 5.9 kg (8.6 kg) .. Robust quality: The full metal housing protects the weighing cell and electronics in your balance. The draft shield can be opened wide for easy access and fulfills highest ergonomic standards. Built-in applications: All carat balances have several applications already included in the software: Basic weighing, piece counting and percent weighing. Legal For Trade: All balances are "Legal For Trade", also known as approved, which is required in applications where the product is sold by weight. All "Legal For Trade" balances have undergone independent testing to verify the scale meets the manufacturer's specifications.